Immerse yourself in the prestige and excitement of this amazing event with Microflite. We will fly you from the heart of Melbourne to the centre of the Moonee Valley track, to make an entrance worthy of this world-class event. Multiple departure times to and from Moonee Valley Racecourse available from Melbourne Heliport, Melbourne (Tullamarine) Airport and Moorabbin Heliport. 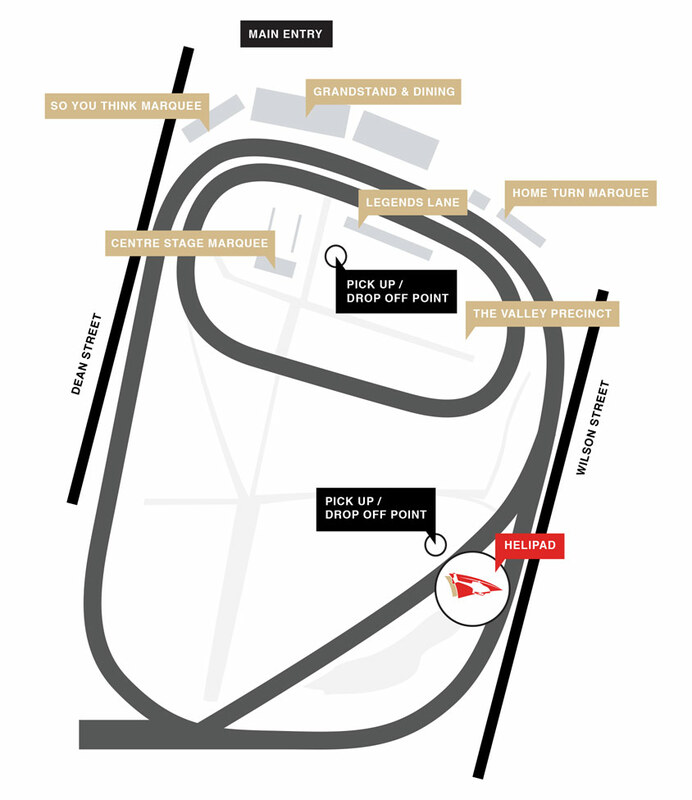 How do I get to the entry gate at Moonee Valley Racecourse from the helipad? For a return flight do I walk to the helipad or will a car take me there? Please make your way to the point at which the car dropped you off. A car will take you to the helipad. How many passengers can the car to the entry gate take? The Valley provide cars to transfer you to the drop off point. If your group exceeds the number of seats in each car you will need to divide your group and wait for the next available vehicle. What time should I arrive at the drop off point for my return flight? 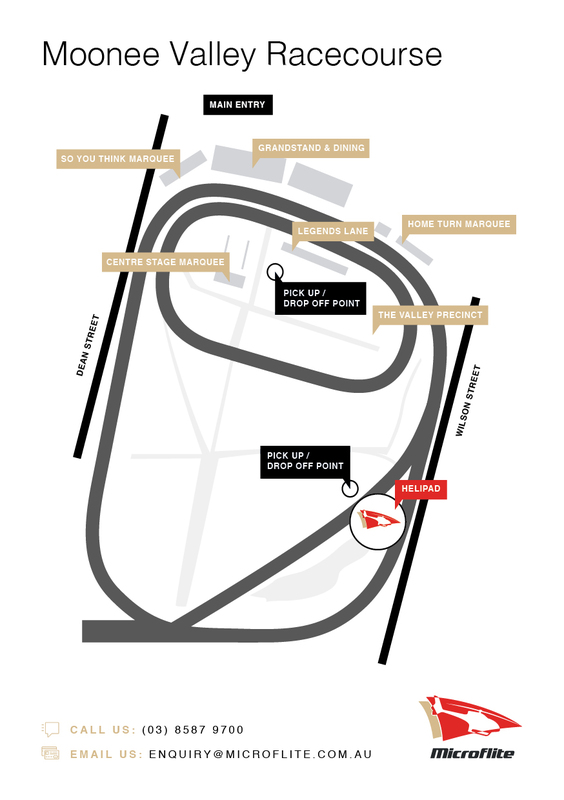 Are there bathroom facilities at the helipad at Moonee Valley Racecourse? There are no bathroom facilities at the Moonee Valley helipad. Please make use of bathroom facilities elsewhere at the event before making your way to the helipad.